Glastonbury is a festival in need of no introduction. 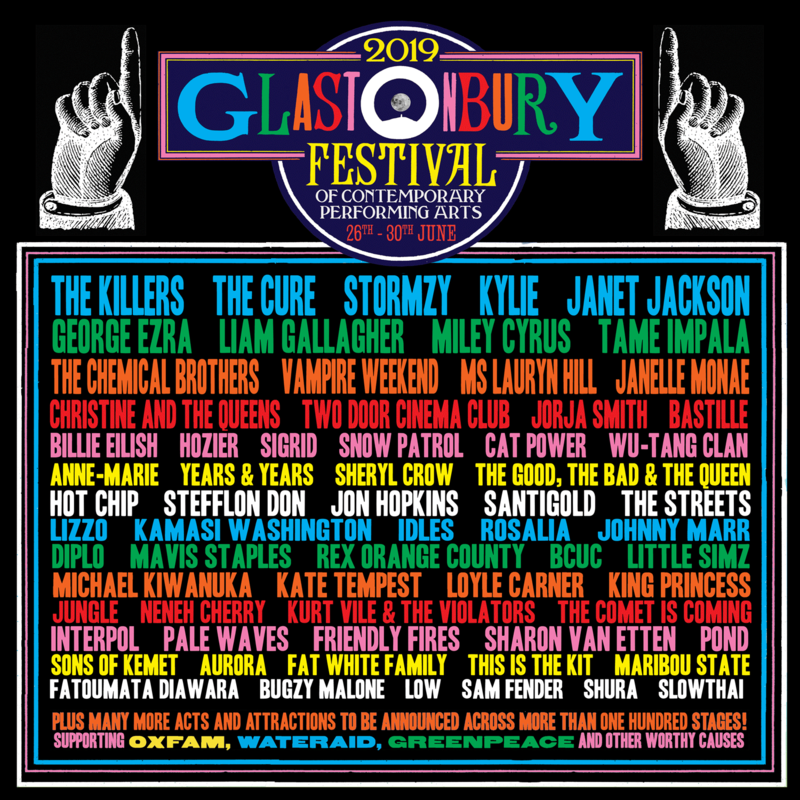 Being one of the biggest green field music and performing arts festival not just in the country, but in the world, Glastonbury has long since set the template for all other festivals to aspire to. Although coming to Glastonbury requires something of an effort, and occasionally long queuing times can be expected, once inside, you'll soon realise just what all the fuss is about. Although there are slightly more commercial tastes catered for on the Pyramid Stage and Dance stages, the festival never loses its way and sells out. Everyone is invited to enjoy whatever they like, no guest lists, no preferences, no attitude. More laidback affairs appear in the guise of places like the Acoustic areas, or even the West Holts Stage, as well as family areas like Kidz Fields, the Circus fields, and a Theatre stage. For the more alternative among us there is the Field of Avalon, the Tipi Field and Green Fields, leading to the infamous Sacred Space. And don't forget the after-hours epicentre of the festival, Shangri-La & Arcadia. Glastonbury is held in the stunning Vale of Avalon, a 900-acre site, with an 8-and-a-half mile perimeter, surrounded by mysticism, symbolism, folklore, and religious significance, a place where Glastonbury Abbey monks claimed to have found the bones of King Arthur and his Queen, and where ley-lines are said to meet. But surely the highlight of Glastonbury is the crowd it attracts. Everyone is there to make the most of their time, knowing that these few days are an important, one-off opportunity in their year, or sometimes lives, to truly let their hair down and be free of the shackles of society. It is a huge melting pot of differing ages, nationalities, faiths, lifestyles, well, you name it! Don’t be put off by the size, the overwhelming feeling pervading the festival is friendly, easy going, mellow, and peaceful. It’s a different way of seeing the world, a different way of living, if only for a glimpse, it is something that needs to be experienced.